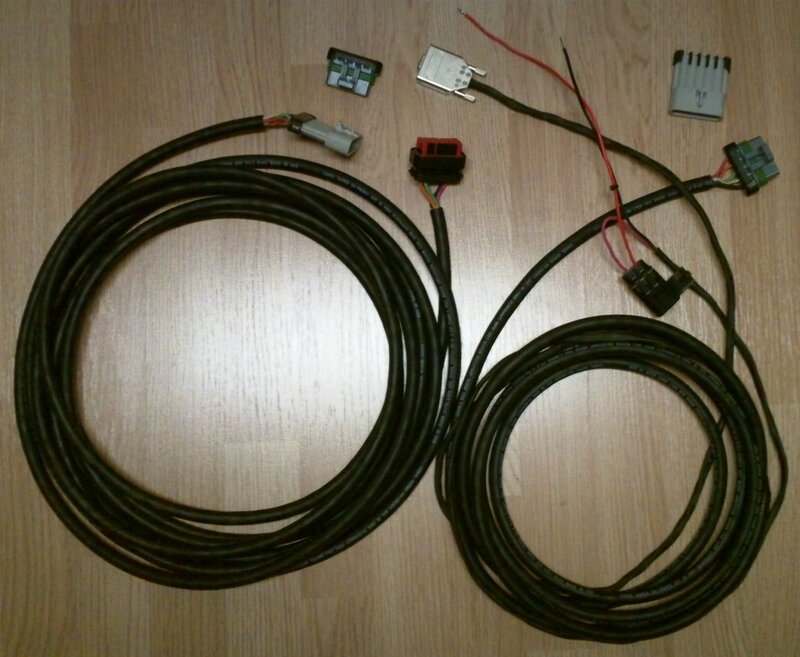 42 feet long, 18/5 SOOW cable, 23 pin plug for the receiver, one DE-9F RS-232 serial plug, 5 pin Metri-pack disconnect in the middle, with fuse. 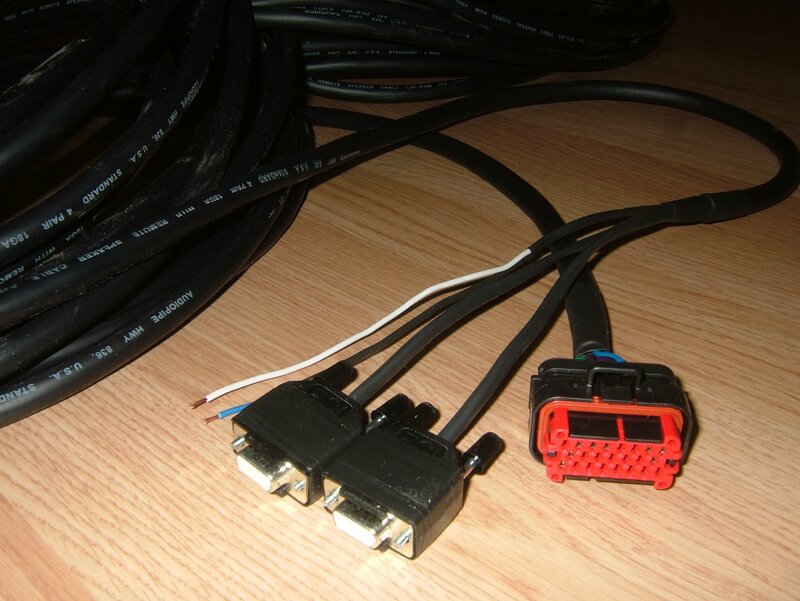 Designed for tile plow use so the plow can be disconnected from the tractor without removing any wires from the cab. 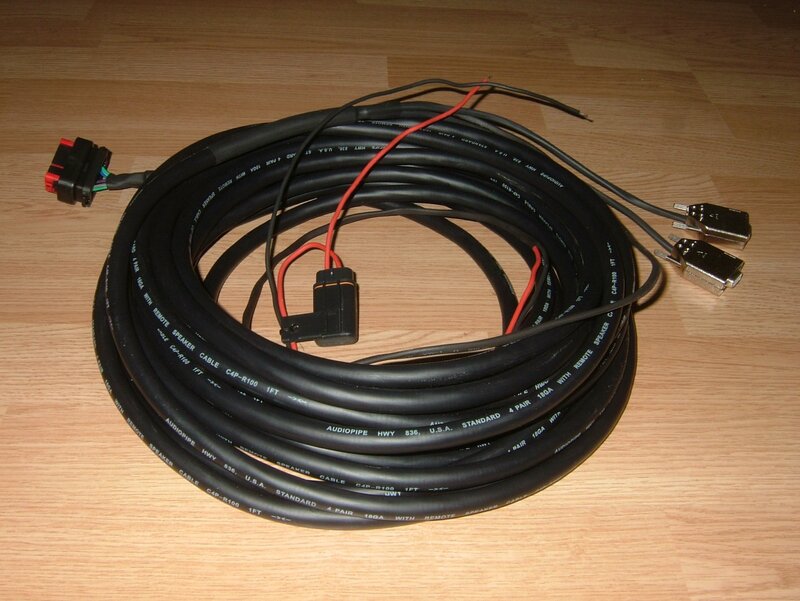 40 feet long, 18/9 cable, 23 pin plug for the receiver, two DE-9F RS-232 serial plugs, with fuse. 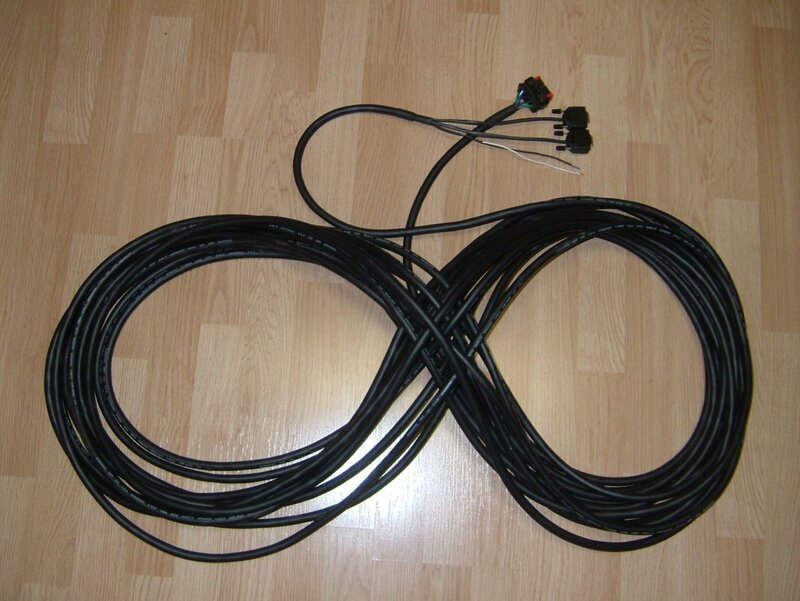 100 feet long, 18/9 cable, 23 pin plug for the receiver, two DE-9F RS-232 serial plugs. 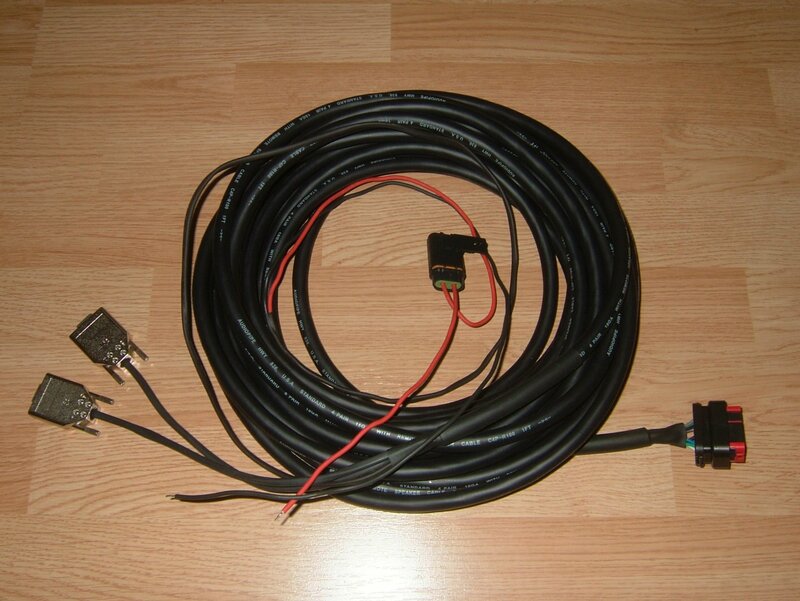 Designed for receiver testing at our office, needed length to get receiver away from buildings and trees, but connect to a computer inside. 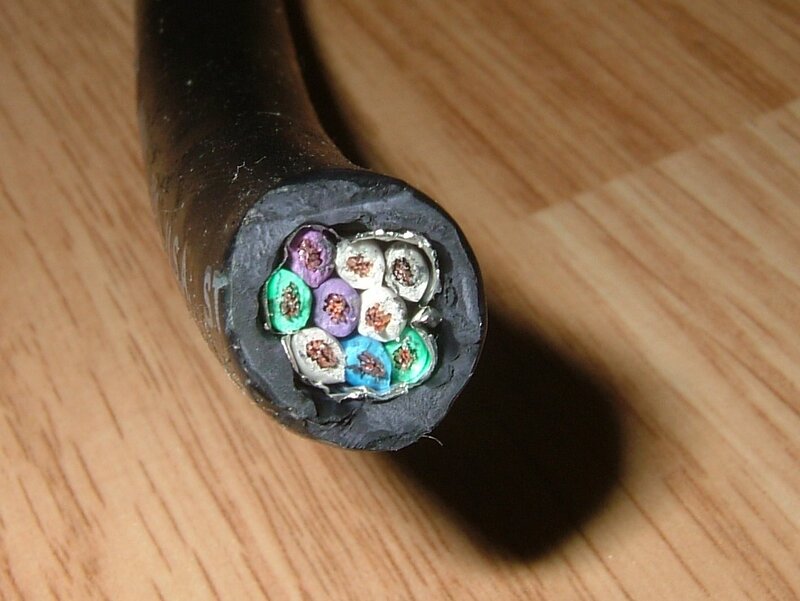 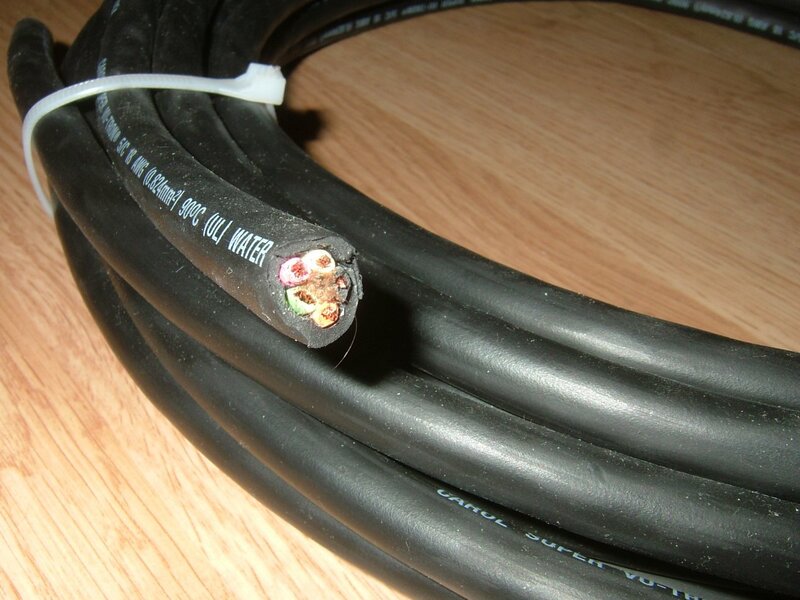 Depends on cable length, number of connectors, and type of cable.